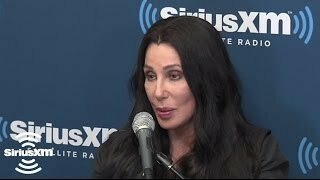 See More SiriusXM Town Hall Videos: http://www.siriusxm.com/townhallFor a FREE TRIAL & to hear SiriusXM's Music, Sports, Talk, Comedy, Politics, & Entertainment content On-Demand, go to http://www.siriusxm.com/ondemand"SiriusXM's Town Hall with Cher," will air on Thursday, July 4, at 10:00 am ET, on The Blend, channel 16, and Thursday, July 4 at 2:00 pm ET on Studio 54 Radio, channel 54, and through the SiriusXM Internet Radio App on smartphones and other connected devices, as well as online at siriusxm.com. For rebroadcast times, please visit www.siriusxm.com/townhall.The "Town Hall" is moderated by original Studio 54 doorman Marc Benecke and Myra Scheer, executive assistant to former Studio 54 co-owner Steve Rubell, and current hosts of The Marc and Myra Show on SiriusXM's Studio 54 Radio channel. 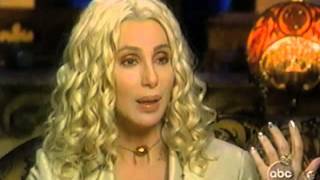 "SiriusXM's Town Hall with Cher" features Cher answering questions from a studio audience about her Oscar, Emmy, Grammy and Golden Globe-award winning career, including her time at the legendary Studio 54. 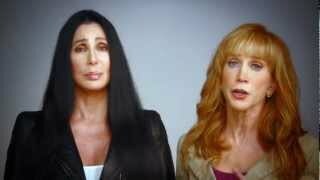 Cher will also answer questions about "Woman's World", the first single from her upcoming and highly anticipated album, her first in twelve years, scheduled to be released on September 24. 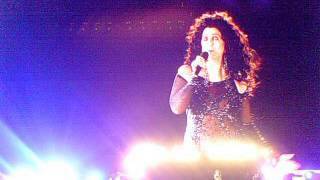 "SiriusXM's Town Hall with Cher" is part of SiriusXM's "Town Hall" series, featuring intimate gatherings with iconic musicians, entertainers and figures and a studio audience of SiriusXM listeners. Previous "SiriusXM Town Hall" specials have featured Bruce Springsteen, Willie Nelson, Billy Crystal, Tom Petty, Tony Bennett, Quentin Tarantino, Taylor Swift, Aerosmith, Coldplay, Alicia Keys, Ringo Starr, Roger Waters, KISS, Gregg Allman, Usher, Crosby, Stills and Nash and the surviving members of Nirvana.